My wife and I married 4 years ago overlooking the ocean in Palos Verdes, California. It was a very small wedding (n = 8) without a reception. A month ago, we finally got the chance to bring all our friends together for a better-late-than-never celebration in Minneapolis, Minnesota. My wife insisted we have a periodic table of cupcakes for dessert. Two days before the party we learned that the business that was going to provide the cupcakes closed up shop. After a panicked internet search and a few telephone calls we found our last-minute, aptly named savior: Cupcake. With less than a 24-hour notice they had 120 cupcakes waiting for us to pick up. Below are photos of the final display as well as a ‘flavor map’. The element labels/toppers were made out of colored, melted chocolate. Looking back, my only regret is that I only had two cupcakes. OK, I’ll let that one pass. I’m jealous. 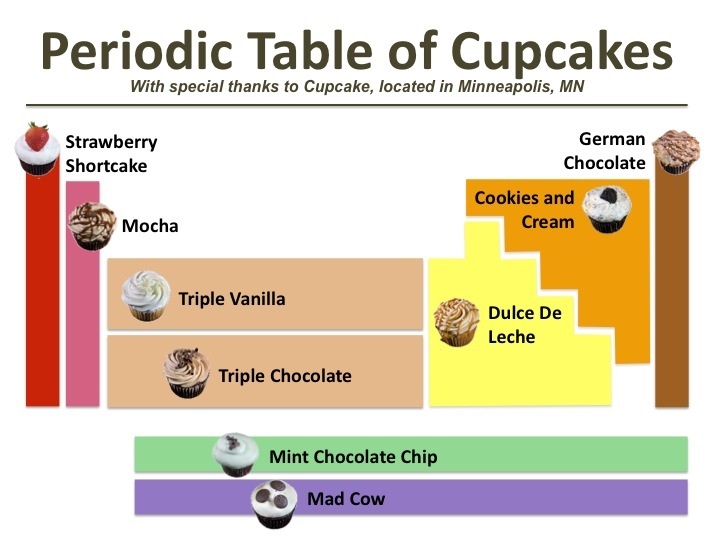 I’m surprised you did not have a three dimensional spiraling periodic table array of cupcakes. 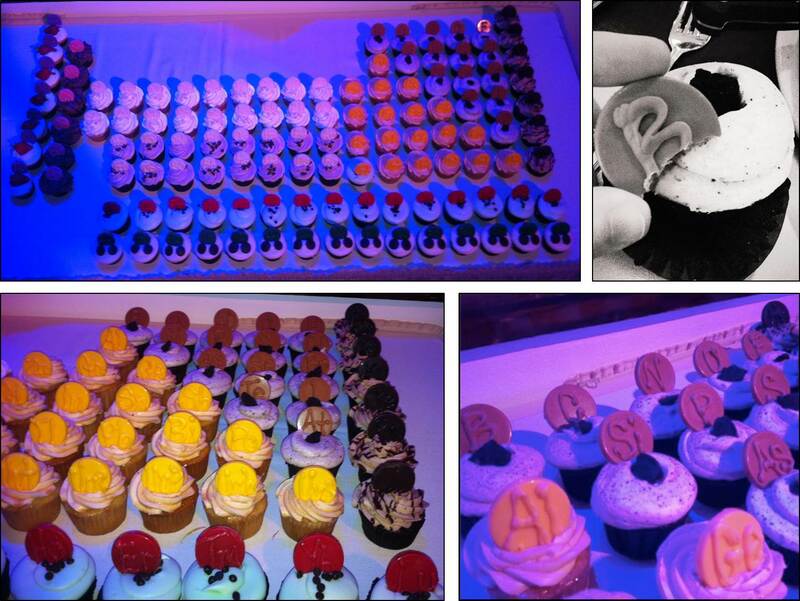 looks sooo delicious, may be its from some cupcakes industries ?lol. Amazing information thank you so much for sharing. It’s looks like so delicious I love it.